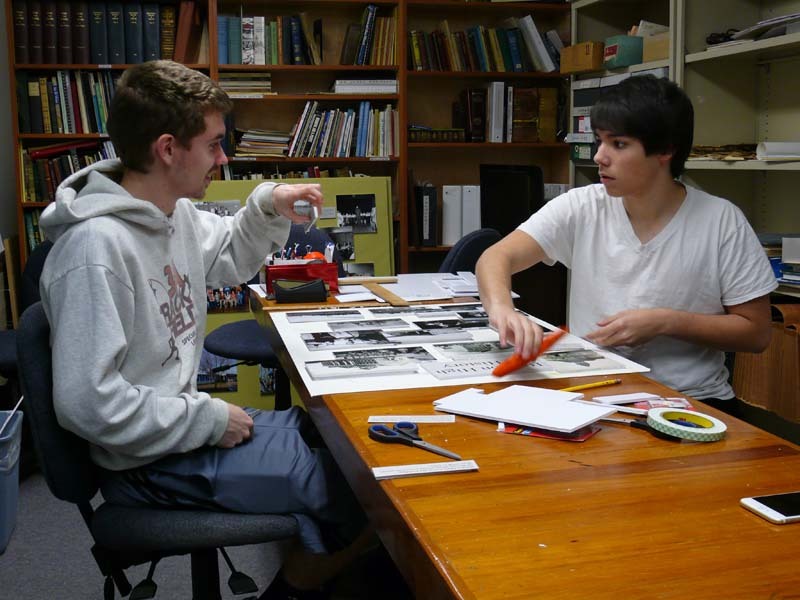 Austin and fellow Eagle scout Mitchell Brown work on the exhibit layout. 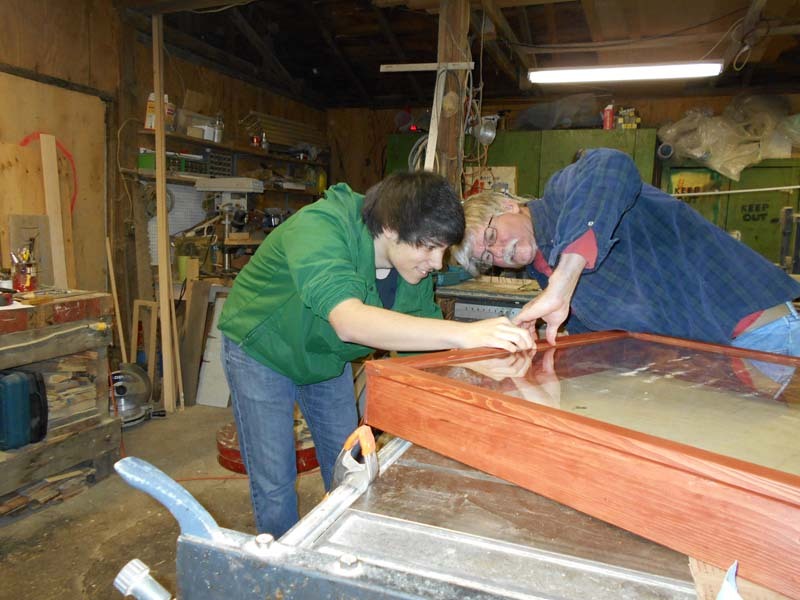 Austin and Jim Proehl inspect the new cabinet. 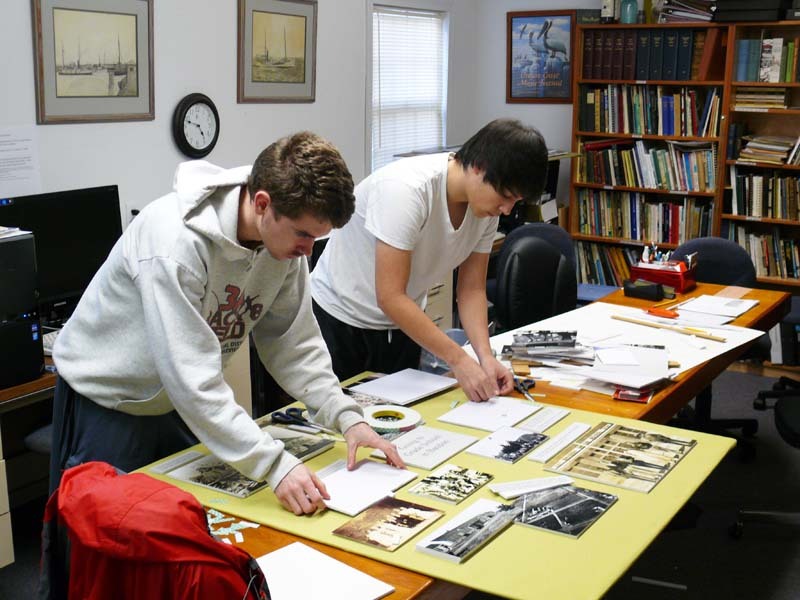 Austin and fellow Eagle Scout Mitchell Brown working on exhibits.